Set out tubers in spring, planting them 4 inches deep. Plants grow quite tall, and can be used to shade heat-sensitive neighbors. 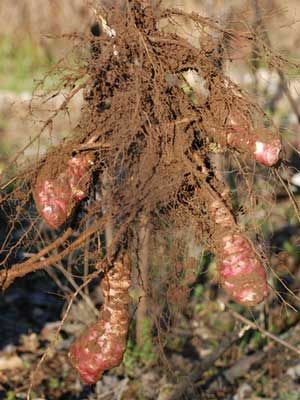 Harvest tubers in fall, winter, and early spring, while the soil is cold.